Young Maltese winger Myles Beerman has left Manchester City to sign for the Academy of Rangers. Beerman, 17, has signed a two-year contract with the Scottish club who announced his signing on their official website. "Also joining the Academy is seventeen year old Myles Beerman from Manchester City, signing with the club until 2018,” Rangers said on their website. 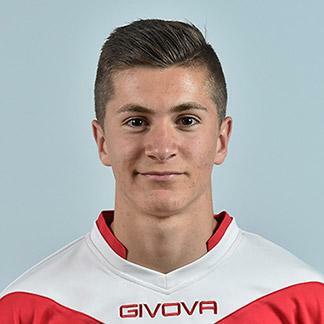 Beerman is widely regarded as one of the brightest prospects in Maltese football. Having represented at U-17 and U-19 level, Beerman has been called up to the Malta U-21 squad for tomorrow’s 2017 European Under-21 Group One qualifier against Belgium at the Hibernians Stadium. The nippy winger had been at Manchester City for the past three years but his move from Floriana to the English club is the subject of a FIFA investigation. Besides Beerman, the Rangers Academy brought in three other players on Wednesday - Serge Atakayi, Amin Bouzaig and Ursene Mouanda.